Jean-Pierre Dupuy, prophet of what he calls "enlightened doomsaying," has long warned that modern society is on a path to self-destruction. In this book, he pleads for a subversion of this crisis from within, arguing that it is our lopsided view of religion and reason that has set us on this course. In denial of our sacred origins and hubristically convinced of the powers of human reason, we cease to know our own limits: our disenchanted world leaves us defenseless against a headlong rush into the abyss of global warming, nuclear holocaust, and the other catastrophes that loom on our horizon. 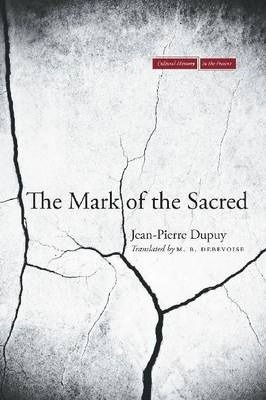 Reviving the religious anthropology of Max Weber, Emile Durkheim, and Marcel Mauss and in dialogue with the work of Rene Girard, Dupuy shows that we must remember the world's sacredness in order to keep human violence in check. A metaphysical and theological detective, he tracks the sacred in the very fields where human reason considers itself most free from everything it judges irrational: science, technology, economics, political and strategic thought. In making such claims, The Mark of the Sacred takes on religion bashers, secularists, and fundamentalists at once. Written by one of the deepest and most versatile thinkers of our time, it militates for a world where reason is no longer an enemy of faith. Jean-Pierre Dupuy is Professor Emeritus of Social and Political Philosophy, Ecole Polytechnique, Paris and Professor of French and, by courtesy, of Political Science, Stanford University. He is a member of the French Academy of Technology, of the Conseil General des Mines, the French High Magistracy that oversees and regulates industry, energy, and the environment, and Chair of the Ethics Committee of the French High Authority on Nuclear Safety and Security. Dupuy also directs the research program of Imitatio, a foundation devoted to the dissemination and discussion of Rene Girard's mimetic theory.